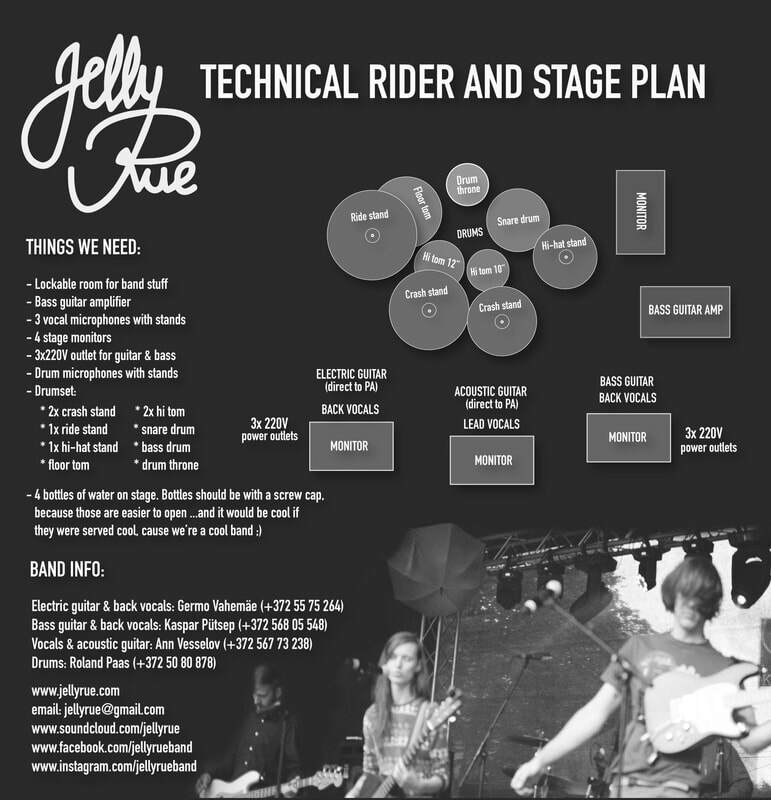 Jelly Rue is an indie pop-rock band from Tartu. Their music is loaded with energy and addictive melodies that most likely will haunt you for days. As far as creating music goes, Jelly Rue is all about experimenting and mixing together different styles, sounds, techniques and effects. The fact that all of the band members have rather different musical backgrounds and tastes, has helped them to create a sound and a style that is interesting, exciting and fresh. 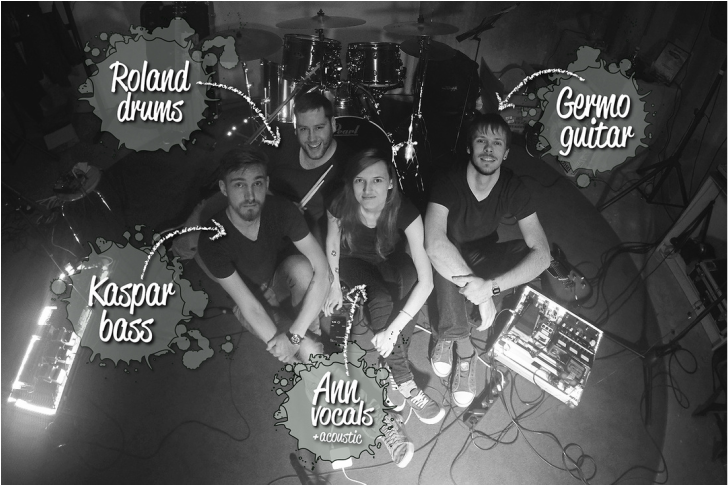 The band has influences from variety of genres including pop, funk, rock, metal - you name it! Jelly Rue started to play together in the end of 2014 and since then they have released an EP called One, two singles called “Love’s a lie” and “Gravity” and three music videos. During their active years Jelly Rue has given around 25 live concerts and is currently working on writing and recording some new material.